It is hard to place a book with such scope into context, but Maxwell's basic philosophical project is simple. Karl Popper's methodology of falsificationism, which was an attempt to analyse the scientific method as a combination of deductive logic and convention, was once a prominent force, but it is out-of-favour today among philosophers. Maxwell presents a modified version of Popper's methodology and applies it to a tremendous range of issues about science and human knowledge. Chapter 1 is a critical exposition of Popper's overall thought, which is notable for breadth, clarity, and accessibility. I have not encountered a definitely superior brief overview of this topic. Maxwell's own methodology of science is advocated in Chapters 2 and 5. In Chapters 4, 6, and 7, he analyses theoretical simplicity, theoretical beauty, and inductive reasoning. In Chapters 3 and 8, he focuses on some specific issues in the history and philosophy of physics. Chapters 9 and 10 shine most brightly. Firstly, Maxwell offers a fiery defence of what he calls "universalism" – the view that there are questions of universal importance for all human beings, such as "How do we fit into the world?" and "How can we improve the world?" He argues that answering these questions is the basic task of intellectual inquiry (though not the sole task) and criticises "specialism", which is the view that discipline-specific questions are the only intellectual questions worth pursuing. According to Maxwell, contemporary academia is dominated by specialism, and despite recent moves towards interdisciplinarity, almost all academics demur from the big questions. Maxwell does not comment on one of this position's most refreshing features: the notion that there are questions that transcend the political and social issues of the day; questions that were as relevant in the times and places of Socrates or Confucius as they are today; and questions that are fundamentally about what is true rather than what is expedient. Unfortunately, despite his passion and clarity, Maxwell fails to tackle most of the deeper reasons for specialism's popularity among academics (and, perhaps more significantly, administrators). Pragmatists, post-modernists, Marxists, and many others have persuasive arguments why these "universal" questions have only ephemeral and local value. The politicisation of universities encourages the minds of academics towards the next election or educating the next generation of decision-makers, rather than the (superficially!) abstract basic questions, and there are arguments for this politicisation. I do not think that the arguments are sound, but Maxwell would need a whole book to address them in sufficient depth, not just this galloping chapter. If Chapter 9 is galloping, Chapter 10 is supersonic. Maxwell discusses Popper's contribution to the Enlightenment project, diagnoses the salient problems for that project, and proposes changes to revivify it – all in just 33 and 1/4 pages. However, his most interesting contention is simple: in the traditional Enlightenment model of social inquiry, the goal of those studying society should be a better understanding of societies, but its ultimate purpose should be the improvement of societies. Thus, according to Maxwell, social inquiry should be direct towards human betterment, not scientific knowledge. In particular, the aims and methods of social projects should be continuously be improved using the scientific method. I disagree: both objectives have ultimate value. Maxwell's position in Chapter 10 seems in tension with his sound position in Chapter 9, because my grounds for disagreeing with him regarding social inquiry are similar to Maxwell's claims in Chapter 9: the question "How do we fit into the world?" is partly a question about human societies, because we live in societies that are neither comprehensible by commonsense alone, nor independent of what it is to be human. For example, individual psychology is not separate from social psychology, and to understand our psychologies is an element of understanding our relationship to the world. Maxwell calls his methodology "aim-oriented empiricism", which is a modification of Popper's falsificationist methodology. According to Popper, the scientific method constitutes putting forward a falsifiable hypothesis (one that can be logically inconsistent with observational data) and subjecting it to severe tests. Those hypotheses that pass their testing can be (provisionally) accepted into the body of scientific theory. However, Popper also thought that, to exclude ridiculous ad hoc hypotheses that are gerrymandered to fit the data, we must supplement the criterion of falsifiability with a criterion of simplicity, and only accept simple, non-ad hoc hypotheses. Maxwell agrees with Popper that a criterion of simplicity is a necessary component of the scientific method, but argues that this criterion requires a substantial revision of falsificationism. Popper wrote in a time when most philosophers of science spoke of "metaphysics" like it was a four-letter word, but he was relatively permissive about metaphysics's role in the scientific method: in his view, metaphysical theories like physicalism, determinism, dualism, and so on could legitimately guide scientists in creating their scientific hypotheses, but they should not guide the acceptance or rejection of hypotheses. Furthermore, according to Popper metaphysical theories are not part of science, and one can adopt a scientific worldview without them. In contrast, Maxwell argues that the criterion of simplicity implies a metaphysical commitment to the simplicity of nature, as he claims that the criterion commits us to the view that non-simple theories (such as the theory that almost all human beings dream, except those who will be born in the 22nd Century) are false. According to Maxwell's aim-oriented empiricism, this metaphysical assumption should be made explicit, but science's authority is not hurt by its dependency on this presupposition. Bertrand Russell noted that "The method of 'postulating' what we want has many advantages; they are the same as the advantages of theft over honest toil." (Introduction to Mathematical Philosophy, 1919, p. 71.) To his credit, Maxwell does plenty of honest toil towards arguing why we should accept a postulate of simplicity. His arguments are too complex to discuss in detail, but his core premises are the additional metaphysical postulates that (1) nature is knowable and (2) our methods for investigating nature are improvable, and I shall focus on them. Maxwell has two a priori arguments for (1) (p. 199). Firstly, he argues that assuming it is a precondition of acquiring knowledge. I am not convinced that this premise is true, because the knowability of nature seems to be a discovery rather than something we have to assume. The rational a priori attitude towards the knowability of nature (or any part of nature) seems to be agnosticism. However, even if the premise was true, the argument is invalid: just because we need to do X to do Y, where Y is something we want to do, it does not follow that doing X is justified. His second argument for believing (1) is that we have nothing to lose by making this assumption: regardless of how nature might be, accepting (1) will help and not hinder the pursuit of knowledge. However, if the universe is unknowable, then we would lose something by assuming that it is knowable: we would be in error about the universe's knowability. If we had remained agnostic, we would have not missed out on any knowledge, but we would at least have avoided this error. It is not clear how to balance this risk against the benefits of believing (without evidence) that the universe is knowable in a universe that is knowable. By Maxwell's own admission, his a priori arguments for (2) are weak (p. 60-61). He argues that it would be arrogant to assume, a priori, that our methods were unimprovable. And so it would be, but that hardly entails that we should assume the converse. Analogously, it would be arrogant to believe a priori that God does not exist, but it does not follow that we should assume that God does exist. We could suspend judgement. His other argument is that (2) would be a useful assumption (because it would encourage us to try to improve our methods) which we could abandon if we discover that all attempts at improving our methods are failures. Again, I do not see why a scientist could not be agnostic about (2)'s truth and seek to improve her methods just because such improvements (if possible) would be beneficial. Assuming (2) a priori simply adds unwarranted confidence. Furthermore, Maxwell does not explain how we could discover that there are no means of further improving our methods. The hypothesis "There is no way of improving our methods" is not verifiable, and the Popperian theory of probability that Maxwell adopts (p. 45, p. 63, and p. 195) implies that this hypothesis is always maximally improbable. More generally, Maxwell persistently seems to assume a false dichotomy between belief and doubt, ignoring the third option of agnosticism that is sceptics' best weapon. Despite his honest toil, I do not think that Maxwell has earned his postulate of simplicity. Furthermore, Maxwell neglects many of the ways that Popper could have responded to his points. For instance, in Popper's philosophy of statistics, he said that probabilistic hypotheses (like "Men and women are neurotic at the same frequency, within a 3% margin of error") can be regarded as falsifiable through a mere convention to ignore highly improbable possibilities: no variance from the hypothesised frequency in a finite sample will even be logically inconsistent with these hypotheses, but we can reject them if they would only be true under highly improbable circumstances. If one thinks that Popper's views here are satisfactory (and Maxwell discusses them without criticism, p. 35) then I do not see why scientists cannot also adopt a mere convention to ignore gerrymandered hypotheses, which is not the same as making a metaphysical assumption. A less orthodox Popperian response would be to refocus the criterion of simplicity into a rule for adopting theories for further pursuit (testing, development, analysing the concepts used, and so on) rather than deciding whether to accept a theory as true. On this view, there could be an infinite number of hypotheses that successfully survive our empirical tests, but our finite resources mean that we must focus on a limited number in our relatively brief time in the cosmos. In such a methodology, scientists' preference for simplicity could be due to what they value rather than what they believe. Simple hypotheses have pragmatic virtues: they tend to be easier to understand, more easily subjected to severe tests, more easily taught to new scientists, and so on. Ceteris paribus, we would prefer to use simpler theories to criticise them and to guide our actions. Similar views have recently been developed by non-Popperians like Rune Nyrup, but they also match Popper's emphasis on fallibility and the importance of severe testing, as well as his circumscriptions of metaphysics's role in science. Finally, simplicity's role in scientific practice is not itself simple. Physicists do seem to strongly prefer simple theories, but this hardly characterises all of science: the simplicity of a hypothesis in fields like psychology, economics, neuroscience, or climatology seems to be more of an indicator of falsity, not truth. From my non-Popperian perspective, the lesson of the matter seems to be that deductive logic is too limited a tool to cover the whole scientific method. The simplicity of nature is an inductive discovery that we sometimes make in local contexts. For instance, when we discover that almost all observed human beings have two eyes, we find that these observed humans are simple in at least one respect: they are fairly uniform in their number of eyes. One might inductively infer to the simplicity of human beings in respect to such physical features. Yet, like all inductive inferences, the extrapolation to the simplicity of nature and parts of nature is defeasible: for example, human psychopathologies like schizophrenia are anything but uniform. Induction is mired in its own philosophical problems, but Maxwell did not convince me that Popperians have a less swampy path to offer. On a minor note: on several occasions, Maxwell repeats the myth that analytic philosophy, especially mid-20th century Oxford philosophy, has a particular focus on words and concepts (p. ix, p. 29, p. 188, and p. 237). This myth can encourage people to overlook some fascinating texts. For example, Gilbert Ryle's The Concept of Mind (1949) is about our mental concepts and words, but also mental phenomena like emotions and thoughts. Despite my criticisms, I thoroughly enjoyed this book. 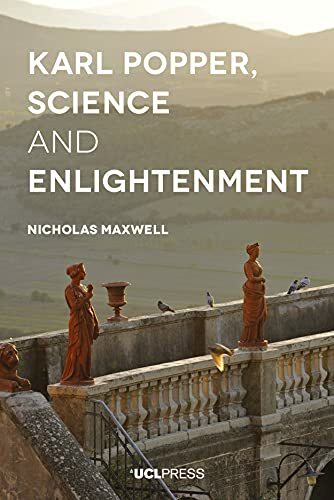 Maxwell has provided general philosophy of science with a book that is notably clear, earnestly written, passionate, and stunningly stimulating. It does not directly discuss psychology, but the final two chapters have pertinent implications for psychological practice and institutions. Though an outsider in contemporary philosophy of science, Maxwell is never bitter and rarely dismissive towards his fellow philosophers. While he sacrifices depth of argumentation at the altar of breadth, the reward is a book with a panoply of exciting ideas and some relevance for almost anyone working in academia. Russell, Bertrand (1919) Introduction to Mathematical Philosophy London: Allen and Unwin. Ryle, Gilbert (1949) The Concept of Mind London: Hutchinson.